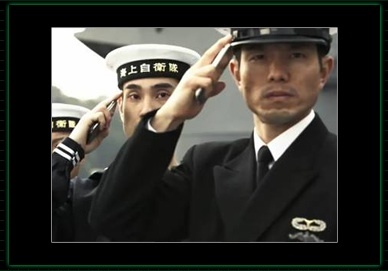 This is the perfect example of a Japanese Maritime Self-defense Force salute. 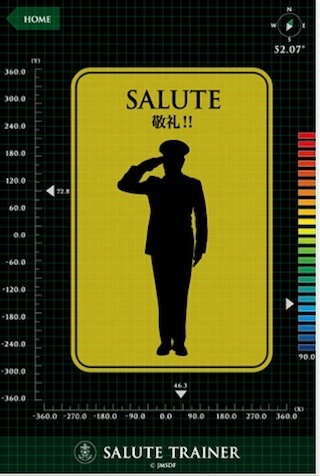 A unique free iPhone app called “Salute Trainer” produced by Japan Maritime Self‐defense Force is growing in popularity. Since its debut last December, the app has had 100,000 downloads! And in June of this year, it took the silver medal in the PR division at the Cannes Lions International Advertising Festival. SALUTE TRAINER is an iPhone app that can train anyone to salute correctly anywhere, anytime. 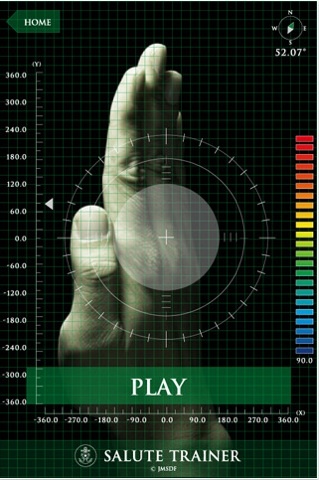 The angle, trajectory, speed, and acceleration of a user’s salute are measured and judged according to JMSDF rules. This video was also produced by JMSDF. The narration in the video is available only in Japanese. But I’m quite sure that you can enjoy it no matter what. Check it out!